2013 was dubbed the Year Of The Car Lease, which means 2014 might be known for the Year Of The Car Lease Pull Ahead. What is a lease “pull ahead” program and how might it impact you as a driver? Car lease pull ahead programs are used by manufacturers and dealers to entice leasing drivers into turning in their leases early in order to “re-lease” another vehicle. It’s a forgiveness opportunity on what’s remaining on the contract, usually offered to lessees with fewer than five months remaining on the contract. 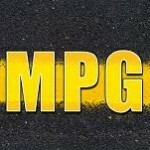 Manufacturers such as BMW, Ford and Lincoln utilized lease pull ahead programs in 2013, and several other manufacturers, such as GM, may be planning aggressive pull ahead programs for car lease finance strategies in 2014. These programs are beneficial to the industry as they help turn new inventory and elevate brand retention among consumers. Swapalease.com believes there will be roughly 20% more lease pull ahead program options in 2014, particularly as a result of an expected three million leases scheduled for return in the coming year. You’re ready for a new car now. You have four months remaining on your lease but you’d like to shop for a different car immediately. You’ve enjoyed the time you spent with your current car, but you started getting the itch to shop around and would love to make a switch before one more day passes. You want to stay with the same brand. Some people fall in love with a certain brand and stay within that brand’s family, car after car. You might be one of these people. If so, a lease pull ahead program would benefit you because manufacturers love repeat business. If you take advantage of a lease pull ahead program, it’s a win-win situation, particularly since car makers can make an attractive offer to pull you into a new car lease. 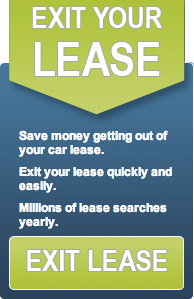 You want to stick with leasing. Whether your current car was your first lease or your sixth lease, if you love to have a different car every few years then a lease pull ahead program allows you to maintain this lifestyle at an even quicker pace. Best of all, you can make a switch without breaking your contract. Of course, if you have more than six months remaining on your lease you most likely won’t qualify for a pull ahead program. However, Swapalease.com offers similar car lease transfer benefits and allows people to escape their contract by transferring it over to a third party, all without harm to your credit. For more information on lease pull ahead programs or to learn how you can have a successful car lease trade, contact Swapalease.com at 866-SWAPNOW. The difficult part about your credit score isn’t necessarily maintaining the score itself; it’s bringing it back up when it drops. Unfortunately, this is something that many people have fallen victim to. We all know the importance of having a solid credit score: qualifying for a new vehicle lease, low interest rates on loans and credit cards or even the ability to improve your chances at landing the right job. Following these tips could help increase your score and improve your chances for a successful car lease assumption. Review Your Credit For Inaccuracies. Sometimes errors can take place on your credit report. Check your recent history for any possible errors in the reporting. If you find any, work with your credit bureau for a resolution. Pay Off Collection Accounts. These accounts that haven’t been paid are sent off to collections and immediately affect your credit score. These accounts become a priority once you can pay them off; the sooner they are paid off, the better. Pay Off Past Due Accounts. Paying accounts on time, such as bills, have the most impact on you credit score. Almost half of your credit score is created by your payments and payment schedule. The later the payment hasn’t been fulfilled, the greater affect it has on your credit score. Good Faith Adjustments. Let’s say you usually make your payments on time, but there were a few payments that ended up being late. Or there was a financial occurrence that deemed one of your payments to become late, yet has been handled with. You can reach out and contact the creditor asking a courtesy adjustment. Debt-To-Credit Improvement. Debt-to-credit ratio is how much you owe versus how much credit you have available. There are a few ways to fix this problem. You could transfer debt to a personal installment loan, pay the revolving debt first or move around credit card balances. One of the most common remedies is simply asking for a credit increase. Use An Older Card. Longer credit histories with favorable payment schedules are always viewed as a positive. Try to identify one of your older lines of credit and make on-time payments for new purchases. When you apply for a car lease transfer, the bank holding the car lease must review and approve you as the incoming lessee. Following these steps will go a long way toward repairing your credit so you can qualify for the right car lease. For more information or to learn how you can have a successful car lease trade, contact Swapalease.com at 866-SWAPNOW.